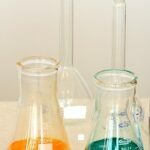 Essential Oils: Making (UP) the Grade | Nascent Naturals Inc. There is a trend in the world of essential oils which is creating confusion and bias, leading to false claims and some safety issues for the public and professional users. It’s the tendency to make up grades or use existing grades within the industry to bolster the apparent quality of some oils or even vilify other essential oil sources. Many who ask for these grades are also contradicting themselves. Purchasing essential oils in the last 10 years or so has become complicated. 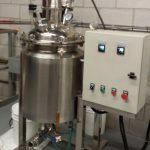 We now have therapeutic grade, certified pure therapeutic grade, food grade, medicinal grade, perfume grade, pharmaceutical grade, industrial / commercial grade, and grade A, B, C. Oh, and there is 1st, second & third distillation grades which are very humorous. More exist but I don’t have time to write a book right now. To be clear, there is no world wide standard or independent grading of essential oils which covers the entire industry of essential oil production. When you read my following descriptions of some of these existing grades, hopefully you will understand why it is practically impossible to implement one. I will also include a grade that isn’t being utilized yet I believe is more appropriate for the world of Aromatherapy. Essential oils are used by many industries and professions including food, fragrance, industrial, pharmaceutical and Aromatherapy which is why many of these grades exist. There is nothing wrong with some of them; it depends on your intended use for the oil. A few of the grades mentioned are irrelevant and show someone’s imagination has evolved while their essential oil knowledge has not. Others are merely registered trademarks or slogans which are used as marketing tools. As I explain all of these, I am writing from an Aromatherapist’s perspective, keeping in mind that what they generally seek out is the pure, authentic, unadulterated, non-rectified or processed oil from the original distillation hopefully from companies or distillers with expertise in those oils or that cater to what the Aromatherapist requires. Therapeutic Grade / Certified Pure Therapeutic Grade – Both terms originated from a few companies several years ago, so I will deal with these together. They are commercial trademarks which have been paid for in exchange for the right to use in connection with products. There is no FDA approval or independent certifying body which approves or oversees these trademarks. Think of Nike – Just Do It! This is not a judgement of the quality of the oils which these companies sell. Quite often, it’s excellent and should be with extensive quality control systems in place. The issue here is the perception that this is an independent industry grade, which it is not. It is also not an absolute guarantee of quality. In fact, many other companies selling essential oils have joined in to use variations of these phrases to give the perception of providing quality when it may not be true. My perception of the term therapeutic after being in the business for close to thirty years (long before some of these companies existed) is this; If you put a batch of plant material into an appropriate distiller and operate it for industry standard amount of time and pressure, a pure mixture of 10-100+ different chemicals obtained from the plant will emerge with it’s unique chemistry at that time. Acres of cultivated lavender ready to be harvested for distillation. 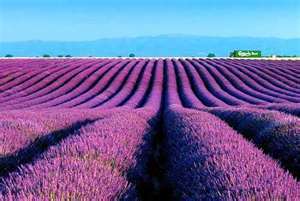 To use lavender as an example; there will be chemical variance depending on the region where the plant is grown. A sample from a high altitude in Bulgaria will generally produce higher concentration of linyl acetate which makes the aroma heavier, robust and exotic which is more appealing to perfume and facial care companies. 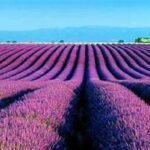 Lavender sourced from Poland may yield significantly more linalool, geraniol and other terpineols creating a more herbal medicinal aroma with the chemical mix suitable for colds, flu, healing skin wounds and burns. If these two oils are pure and originated from a source experienced in proper distillation, there will be a therapeutic use for both, it will just be different. On this point, I have polled many essential oil brokers, growers and other distillers who are at the core of essential oil production, but have not been able to find one of them that uses this term to describe their oils. It is not out of legal fear, but merely they find it redundant. Many of these distillers sell to companies that magically declare their oils “therapeutic” when reselling. Food Grade – This one is interesting as it was originally attributed to the food and flavoring industry. Now it has somehow crept into Aromatherapy as a grade which implies that an essential oil is safe to ingest… which is false. The food and flavoring industry is one of the biggest users of essential oils, but rarely use the pure oil as it is inconsistent, making it difficult to work with. Most packaged and processed foods are standardized recipes, trademarked processes and must meet Health Canada and FDA approval. As mentioned before, essential oils are naturally occurring chemical mixtures which change from region to region and year to year. 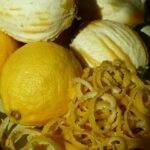 Lemon peel is separated from the rest of the fruit to obtain it’s valuable chemicals. There may also be some unpleasant chemicals within the oils which have a negative impact on flavor. For example, lemon oil from the peel is one of the most popular flavorings due to significant levels of limonene which gives a distinct lemon taste, yet food companies may not use the pure oil because of the presence of undesirable chemicals within the oil such as pinene, camphene or terpinene. They will purchase a “food grade” oil which means it was rectified, folded or processed to remove them or to concentrate desired chemicals such as limonene and citral. This is achieved by subjecting the pure oil to further processing and refinement, known as rectification or folding. This also standardizes the ingredient. Therefore, the oil is no longer a pure oil which is coveted by Aromatherapists. “Lemon Essential Oil consists of more than 90% terpenes which have very little flavour value. 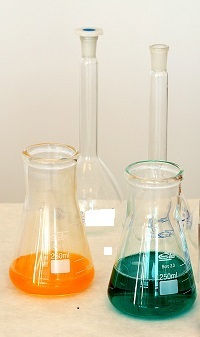 Their insolubility in alcohol is a nuisance in flavour compounding. 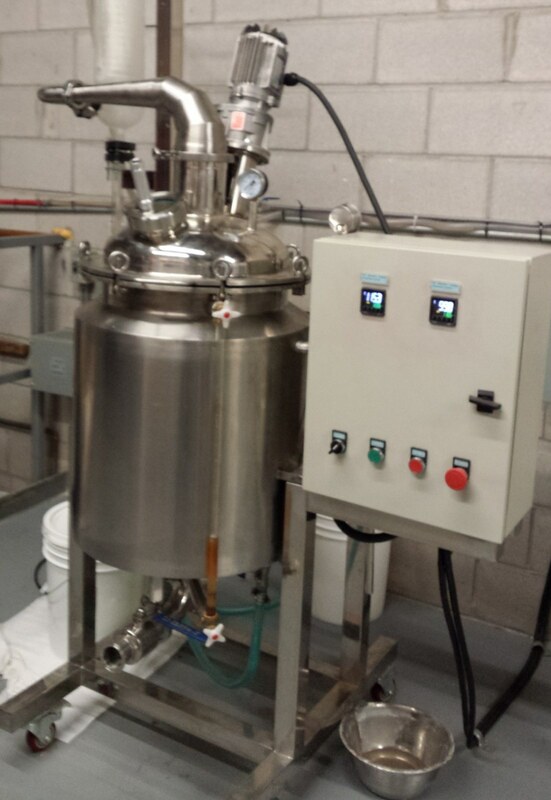 With our Five Fold system distillation, most of the terpene fractions of Lemon Oil can be removed. Therefore, Lemon Oil 5 Fold is soluble in ethyl alcohol and paraffin alcohol, water and propylene glycol. It has no explosive or oxidizing properties and it is 5 times more concentrated than Lemon Essential Oil“. – A quote from a major supplier of lemon oil to the food and flavoring market taken right from their website. Oh, and the ingesting part… no company will use this altered oil in pure form. It will almost always be in dilutions of less than 1% depending on the application. So, when someone asks if your oil is “food grade” and safe to ingest, it is contradictory to the field of Aromatherapy and certainly does not mean it is safe to ingest that oil on its own. One more note to ponder on the use of “food grade”. There are easily over 150 essential oils used by Aromatherapists, yet the food industry is quite limited to mainly citrus (lemon, lime, orange, grapefruit), some spice (allspice, anise, black pepper, caraway, cinnamon, clove, cumin, coriander, nutmeg) and culinary (basil, ginger, lemongrass, oregano, peppermint, rosemary, vanilla, wintergreen). There may be a few more I have missed but the point is; what about the other 100+ they don’t use? Are they still food grade? Medicinal / Pharmaceutical Grade – The explanation of food grade applies here but for different applications. The pharmaceutical industry purchases massive amounts of essential oils but would never use the pure essential oil. Once again, their formulas must be standardized so they can obtain patents, DIN, NHP numbers and other various registrations through Health Canada, FDA or other governing body in their respective country. This simply can’t happen when using the pure oil which is considered an inconsistent raw material. A good example is ti-tree oil. Two of the most useful chemicals found in the oil are terpineol 4 and cineol which are removed or standardized. You may see the ingredient listed as ti-tree on the label, but it is allowed since the they started with the original oil. Same principle for eucalyptus. If you are purchasing a “medicinal” grade, it is likely just a 1-8 cineole (eucalyptol) standardized mix. The pure therapeutic or raw material will have this chemical and many others such as alpha globulol, pinenes etc. which make it inconsistent and unpredictable to work with. There is the perception in Aromatherapy that if an oil is medicinal, it will be therapeutic but once again it has probably been altered heavily which contravenes what the Aromatherapist apparently requires. Perfume Grade – Same principle as medicinal or food grade. Most perfumes must be consistent, so they can be registered and or patented plus protect trade secrets and recipes. That can’t be achieved with inconsistent raw essential oils which change from year to year and differ regionally. Some of the more favorable aromatic chemicals will be extracted such as linyl acetate, geraniol and nerol to create exotic custom blends. If the aromas originally came from the pure oil, they will be allowed to put those impressive Latin botanical names of the plants on their labels to qualify as natural. 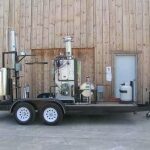 Portable distillers process plant material in the field. I have read many writings about perfume grade stating that it is inferior to therapeutic. This is not necessarily true. As mentioned previously, the whole pure oil is not likely to be used in finished product, however, the industry quite often will purchase pure oils as a starting point to ensure quality all the way through the process. In my opinion, the current Aromatherapy profession owes a debt of gratitude to the perfumers of years gone by. Some of the original artisan perfumers defined true quality by growing crops and distilling their own oils. There are still some of these around today that will create a custom mix of the pure oils if fragrantly appropriate. This becomes a limited edition perfume as it can’t be exactly replicated the following year. Industrial / Commercial Grade – While I don’t think I ever recall any Aromatherapists asking for this grade of oil, some companies have been accused of selling this grade; usually by companies selling “therapeutic grade”. This one frequently refers to oils produced to extract chemicals such as terpenes, and pinene to manufacture organic solvents, cleaners and paint thinners . 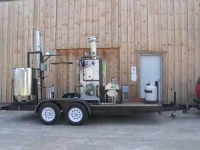 Large scale distillations of red and white cedar, fir or pine will be conducted to remove these valuable chemicals. Another example is the mass production of citrus crops such as orange or lemon to yield the highest amount of oil. Pesticides are quite often used to maximize the size of fruit. There is no concern for the presence of pesticides in the oil, as it will be further rectified and standardized to make products such as furniture polish and orange glow type cleaners. Once again, nothing wrong with this, but not applicable to the Aromatherapy field. These oils should never make their way into the Aromatherapy stream, but you may be surprised at how many do as the price is quite attractive for some brokers and re-sellers. Grade A, B, C – Another made up grade scheme to make some oils seem better than others. Once again, I have not found any essential oil producers or brokers using this description. For those who believe this nonsense, “A” is obviously most desirable and likened to therapeutic grade, however I don’t know if anyone has ever admitted to selling grade B or C. This grading system should be left to determining quality of eggs where it may be relevant, but not essential oils. 1st, 2nd Distillation- This one is down right idiotic and shows a compete lack of understanding of how essential oils are produced. There is only one distillation of plant material. If you have ever researched, watched or conducted distillation, when the peak time is maximized it is because that plant material has been exhausted of all potential essential oil. There is no point in trying to distill it again later as it will yield nothing, not to mention the extra cost of heating the distiller again so why would a company engage in this practice? The only use for that plant material after first distillation is to spread it back out on the field to provide weed control and return some nutrients back to the soil. Some essential oils may be redistilled for further rectification but not the plant. A few examples would be bitter orange or peppermint. Some individual oils such as black pepper or ylang ylang can produce different grades depending on the amount of time in distiller but this depends on the individual oil and has nothing to do with the plant material distilled a second time. Authentic – The oil reflects the composition of the plant specified, distilled from one batch of plant material in a local geographical area and that care was taken from the growing of the crop, harvesting and distilled by individuals or companies with long traditions, history and expertise with that plant material in that region with appropriate equipment. What comes out of the distiller on that day, time of year, region of the world is authentic, genuine, pure and, depending on it’s unique chemistry, has a therapeutic use for something. Now this is what I think makes sense, as well as the grade. ©2018 Nascent Naturals Inc. All rights reserved. The Many Essential oil brokers, growers and other experts I have had the pleasure and honour of knowing and being educated on this subject. Your patience with my ongoing inquiries and quest to better understand the industry is admirable. Wow! A very well written article that clearly explains a complicated subject, especially to a lay person, like myself! Thank you for taking the time to write such a comprehensive explanation!